Any romance between these two doesn't make sense and is simply bad writing. It also sends a bad message about romancing the enemy droid. Disney wouldn't dare make such a controversial and taboo movie. God, don't you know MISDIRECTION when you see it? That whole comic is misdirection. The pages don't even line up. 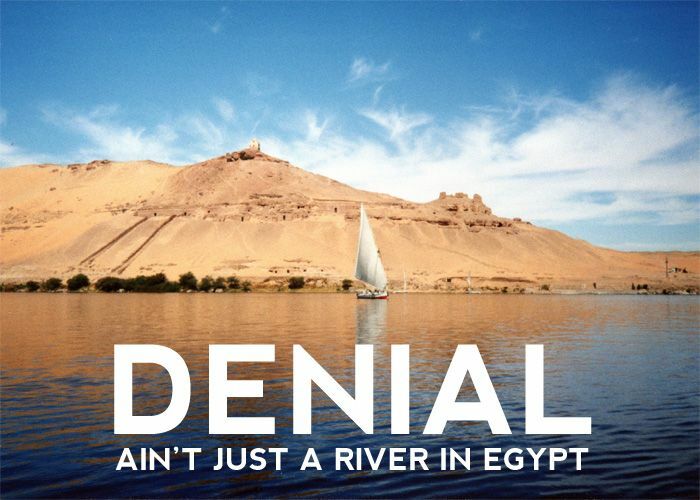 I'm just going to pretend I didn't see this, because denial is without any doubt the healthiest defence-mechanism. @Rei of Sunshine wrote: I ship R2-B8. 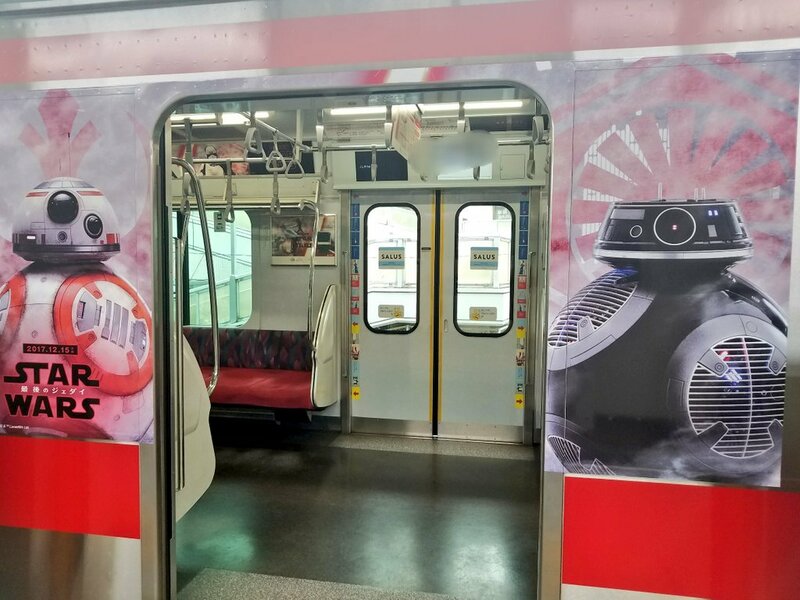 BB8 was there when R2 was revived. And BB8 had the missing piece of the map R2 has. Also I don't care for the age gap. It only shows how much R2 can share with BB8 about his adventures. We all saw on SW Blips how BB8 fandroided over R2. After BB8's courageous journey in TFA, I bet he and R2 are somewhat kindred spirits. HOW DARE your differing opinion threaten my own opinion. R E P O R T.
@Saracene wrote: Pfffft what nonsense. BB-8 is a strong independent droid who needs no romance. Why would anyone want BB-8's agency taken away?? @Mana wrote: Wth? BB 8 is like only 19 and BB 9E is probably 40 or something! Thats an abusive age gap!!!!! I can't breathe because of this post. Thanks a lot!!! I voted Possible but where's Ruke thread? 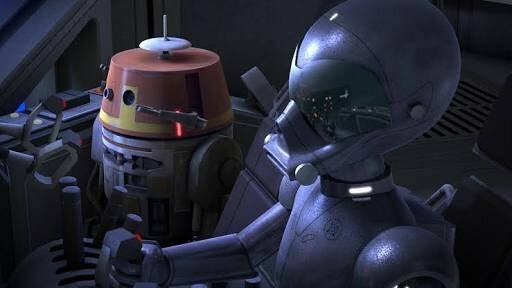 The ungodly meta comparison of BB-98 being inside each other's hearts, souls and minds. They reported for disassembly and something... interesting happened. @Rimfaxe96 wrote: Oh please... they're COUSINS!!!! s***! I thought BB-8 had bumped into his unknown DS mommy. What am I gonna do now? Somewhat off topic, but still related. Here's a really cute AU Reylo fic with BB8 and BB9E are corgis. Rey owns BB, an orange corgi, and Ben owns Nines, a black backed corgi. BB-8 and BB9E canon romance confirmed! Oh just forgot I'am an anti here. Disney will pay for this! BB9E chases BB8, stuns him with her stun gun, a bridal carries him with her grapple hooks. She then proceeds to make him her guest, and force the map to Luke out of him. 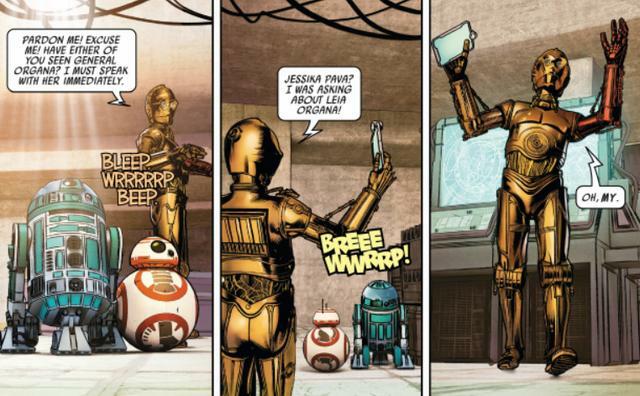 How does a droid disguise itself? Is he hiding himself under garbage? Does he paint himself in a different colour or rebbuild himself with different parts that are lying around? Or does he have a disguise mode that will quickly remodel him? This sounds like something that could be really ridiculous. Well, at least we will have some BB-8/BB-9E interaction. Maybe the story is not going to go the way we think and 9E will actually help him. You've got me thinking of something from SW rebels.... I think they'll paint BB-8 (change his plates etc) to make him look like a BB-9 droid....just like Chopper was disguised in rebels. Either BB-9E will be captured and BB-8 will be disguised as it on the undercover mission with Finn, Rose and DJ....like Chopper replaced droid 264. Or BB-8 will go undercover, get caught by BB-8E but later escape together and become friends like Chopper and AP-5. Aight time to start a BB-8 and BB-9E forum. One threads not enough to to contain it's sheer epicness! Hoping the new issue of Empire is turning up on my doorstep tomorrow with more info in this darling duo. Apparently it’ll also feature a Porgs/ Caretakers feature. @Darth Dementor wrote: Aight time to start a BB-8 and BB-9E forum. One threads not enough to to contain it's sheer epicness! It's been confirmed BB-8 is a girl so that excuse isn't going to fly. But both Poe and Rey refer to BB-8 as "him". Shouldn't Poe as BB-8's owner know if it's a male or female droid? And Rey speaks droid, so wouldn't BB-8 have told her? There's an article that says that BB-8 was originally considered to be female by the crew, but later for some reason became male. And soon we'll learn that BB-9E is actually male and their love story is meant to parallel Reylo. How cute! Ahhh, now I think I find Rey and BB-8's interactions are even cuter for me now that we know BB-8's a girl.